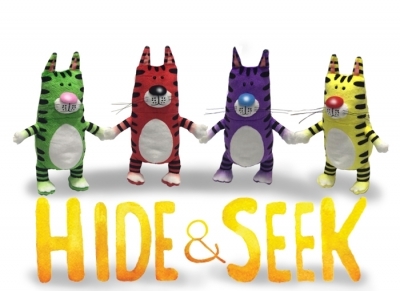 10 in Plush cat plays the game of hide-and-seek. Hide it, Voice module inside , press paw, cat will call out "I'm over here" every 20 sec from it's hiding place .Found, will respond to touch/ rewards "You found me! Book!